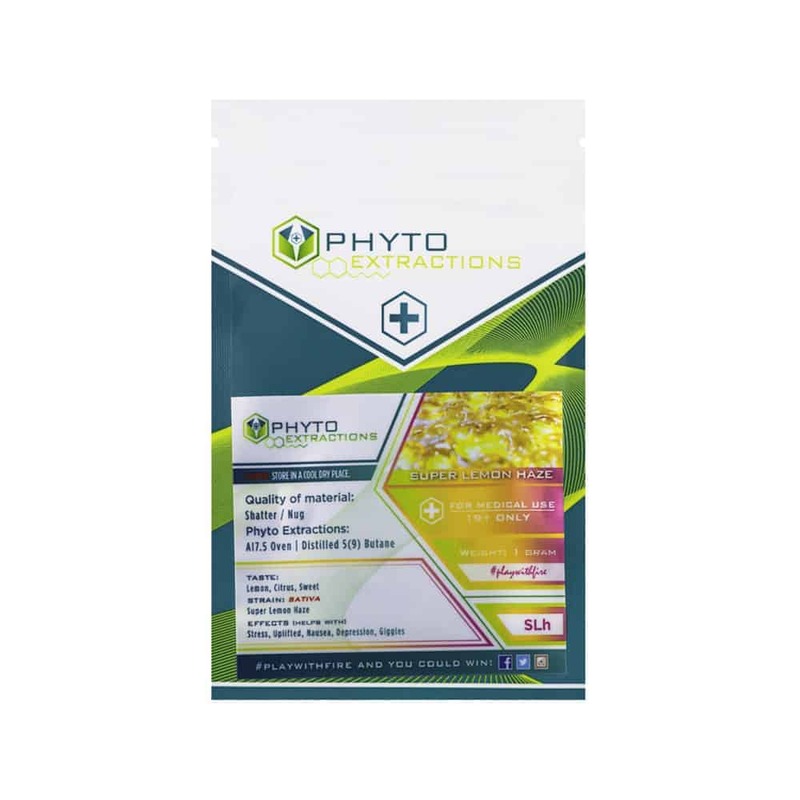 13 reviews for "Phyto – Super Lemon Haze – Sativa Shatter"
Does me so good. This is a perfect breakfast smoke to get and keep you going through out the day. I could really feel it behind my eyes and it always makes my day brighter. One of my favorites from phyto for both taste and feels. Lemony goodness! Excellent product! Very tasty and great for Saturday morning with a coffee! I loved the flavor of this one. Yummy lemon all the way! No mistaking this lemony flavor. The perfect sativa high to brighten your day and get you feeling right! This strain is my personal favorite for enjoying the outdoors. A very euphoric and colorful experience. Stay focused all day with this stuff! Perfect for daytime use. Good flavour and nice high. Will buy again.